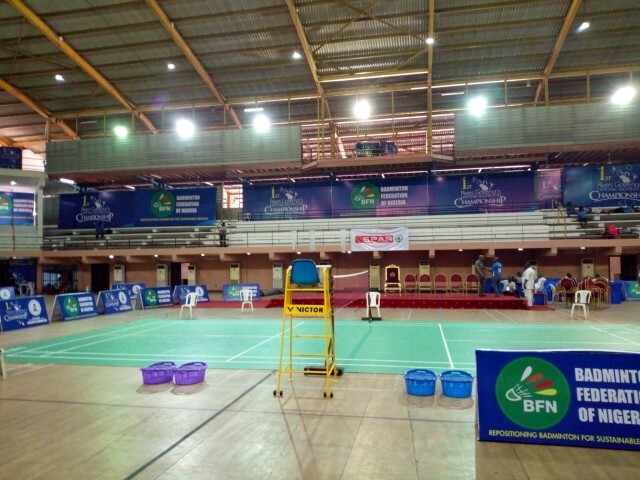 The Badminton Federation of Nigeria, BFN, has invited to camp a total number of 30 players (16 men and 14 women) in preparations for the All Africa Senior Badminton Championship slated to hold in Port Harcourt, Rivers State from the 22nd of April, 2019. Of the number invited, all but Tosin Atolagbe, who is unavoidably absent due to family commitments, have reported to the camp. In it’s effort to reach out and give fair opportunities to all top and upcoming players, the Federation has spanned it’s scope of invitation to all parts of the country. The All Africa Senior Championships is made of two separate tournaments: the Mixed Team Event holding from 22nd – 25th April and the Individual Championship to hold from the 26th – 28th April, 2019. The President of the Badminton Federation of Nigeria, Francis Orbih, Esq has assured all badminton Stakeholders that the Board of the Federation under his watch will leave no stone unturned in ensuring fair opportunities for all players in the country. Understandably, much as the BFN would love to see more players invited to camp, there is of course a limit to the number that can be accommodated. Other players will have their own opportunities as soon as will be expedient. The camp is under the supervision of the Head Coach of the Senior National Team, Benjamin Orakpo, assisted by the two Assistant Coaches of the Team, Susan Ideh-Agboola and George H.Shita and the technical & Coaching crew has the mandate of preparing, shaping and fine-tuning the players eventually selected for utmost performance at the upcoming championships.